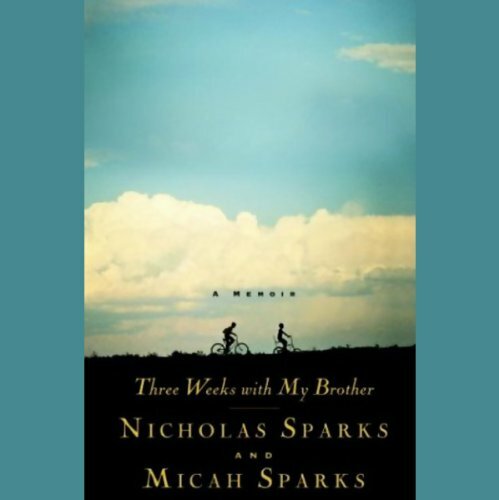 In January 2003, Nick Sparks and his brother Micah set off on a three-week trip around the world. It was to mark a milestone in their lives, for at 35 and 36, respectively, they were now the only surviving members of their family. 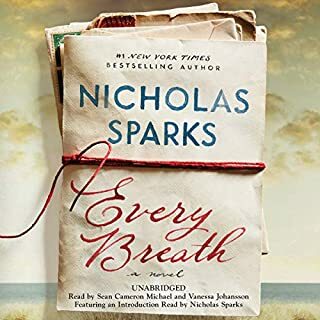 As Nick and Micah travel the globe, the intimate story of their tragic family legacy unfolds in the details of the untimely deaths of their parents and only sister. 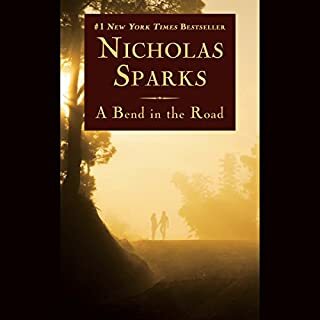 Against the backdrop of the wonders of the world, the Sparks brothers bond together to heal, to remember, and to learn to live life to the fullest. My Brother" is his best work to date. 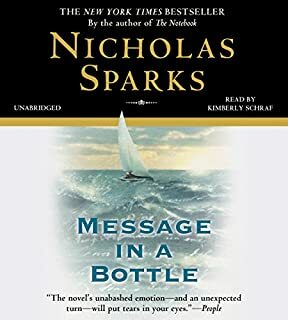 Nicholas Sparks is an excellent storyteller. Their youthful escapades are uproariously funny. I laughed, I cried ... I loved it! I always enjoy reading or hearing stories from real people, about the real people that they are, and the struggles they endure. This is a compilation of stories, well woven together. At times it seems a bit too sappy, but the pain these people go through makes it both bearable and understandable. The reader is good, both in vocal character and inflection. I really enjoyed this book, though it didn't keep me in suspense or awake at night wondering what happens next, I did find myself growing attached to the characters. I have never read a Sparks novel, nor did I know he was an established author, but I will read some of his other titles now. His style of writing is easily understood, even in this personal journal of his life. -- Recommended if you like true stories. If you are looking for an armchair travelogue, this is not the book. That is what I was looking for, and I kept on waiting for sightseeing commentaries. Those are secondary. Like peeling an onion, this story unfolds and u get to understand, why it was so important for him to travel with his brother. Where they went seems incidental. A really, really good story. I have never read his fiction books (strike me as romantic stories) but this book was a nice surprise. The most compelling journey the Sparks brothers take you on is not the one around the world. Instead, as we accompany Nick and Micah back in time, they gradually reveal the world they saw as normal when children. It is a world of youthful exuberance, set alongside the pain of a father's emotional distance and an adored mother's attempt to teach her 3 children life's lessons. Laughter and tears comingle as the brothers recount their escapades and the nearly unbearable grief they endured within and alongside their family. I want my own grown sons to read this book. Nick and Micah recall and relate to each other their childhood stories in the same way, I suppose, that all close siblings do. While each son is different, their shared experiences forge a common bond that endures life's harshest moments. As the book ends you finally realize why the trip around the world wasn't nearly as important as the time spent away and together. I always feel sad when I finish one of Mr. Sparks books its like saying goodbye to a good friend. I wish he could write faster!! I have read everyone of his books and I have never been disappointed. He is one of the greats!! An enjoyment from start to finish, the narrator's voice was easy on the ears, something that is necessary. The story was great, I didnt want to turn the car off when I reached my destination. While I'm normally a person who likes books to escape, this book really got me to be reflective about what family means to me and how important my brother's are in my own development as a person. It's amazing how much a single person can accomplish (or put upon himself) when faced with situations like the authors. A fantastic listen and a great production by the reader...looking forward to take a trip around the world with MY brother's real soon! I really enjoyed this book. I even laughed out loud at times and cried at others. I am Catholic so my belief system is the same as Nicholas Sparks. I too have lost family members, 3 siblings and 1 parent. He helped me to see that greater good can come out of tragedy. His brother and him have a relationship to be admired and one to model. His philosophy of marriage is very true, commitment is the key factor in a lasting marriage. A must read for Sparks' fans! 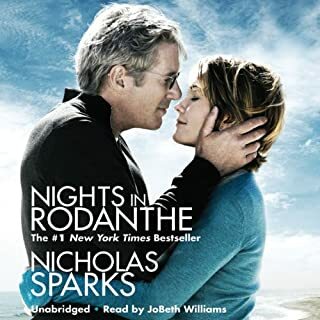 I had only read/heard a couple of Nicholas Sparks' books before listening to Three Weeks With My Brother on recommendation from my mother in law that his stories take on new meaning once you know his own story. She was absolutely right! 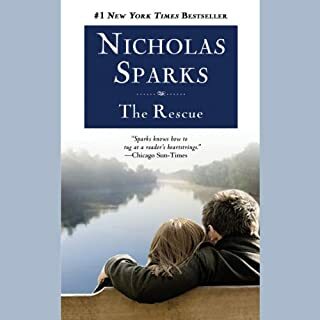 I highly recommend this one first if you're new to Nicholas Sparks.